The aim of this policy is to protect all employees, customers and visitors from exposure to second-hand smoke and to comply with the Health Act 2006* / Smoking, Health and Social Care (Scotland) Act 2005* / Smoking (Northern Ireland) Order 2006* (*delete as appropriate). Exposure to second hand smoke increases the risk of lung cancer, heart disease and other serious illnesses. Ventilation or separating smokers and non-smokers within the same airspace does not completely stop potentially dangerous exposure. It is the policy of (NIGHT WATCH SECURITY SERVICES LTD ) that all our workplaces are smoke free, and all employees have a right to work in a smoke free environment. The policy shall come into effect on (insert date) and will be reviewed on (insert date) by (insert name). Smoking is prohibited in all enclosed and substantially enclosed premises in the workplace. This includes company vehicles. This policy applies to all employees, consultants, contractors, customers or members and visitors. Overall responsibility for policy implementation and review rests with (insert name). However, all staff are obliged to adhere to, and support the implementation of the policy. The person named above shall inform all existing employees, consultants and contractors of the policy and their role in the implementation and monitoring of the policy. They will also give all new personnel a copy of the policy on recruitment/induction. Appropriate ‘no-smoking’ signs will be clearly displayed at the entrances to and within the premises, and in all smoke free vehicles. To inform, consult and train employees and visitors on this policy. To report incidents of smoking in smoke free areas and vehicles.  Failure to comply with this policy will be dealt with through NIGHT WATCH SECURITY SERVICES LTD’s disciplinary procedures. Those who do not comply with smoke free law may also be liable to a fixed penalty fine and possible criminal prosecution. The NHS offers a range of free services to help smokers give up. Visit http://smokefree.nhs.uk/ or call the NHS Smoking Helpline on 0800 022 4332 for details. Alternatively you can text ‘GIVE UP’ and your full postcode to 88088 to find your local NHS Stop Smoking Service.